This post is OUTDATED. In August 2014, Google announced that they would no longer show authorship in search results or process author information. More on this change from John Mueller, a Webmaster Trends Analyst at Google, here: https://plus.google.com/+JohnMueller/posts/HZf3KDP1Dm8. Google Authorship has been around since the summer of 2011, but I've had a recent flurry of questions about it from readers. 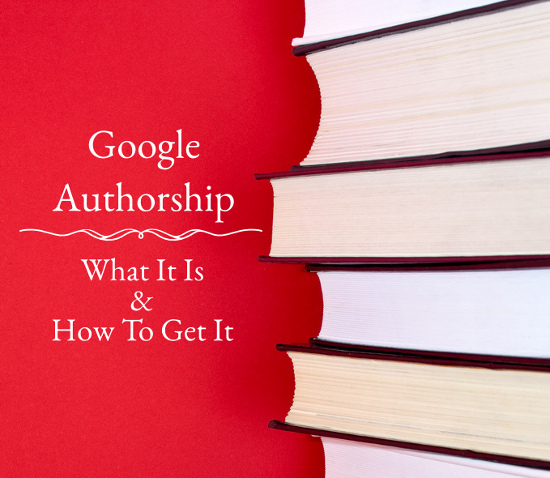 So, here's a primer on the What, Why, & Hows of Google Authorship. When you see a photo of a blogger next to their post in search results, it means they've claimed their content through the Google Authorship program. The Authorship program associates content directly with its author, not just with its domain. This is mutually beneficial for authors and Google — it helps boost author's profiles while it helps Google weed out spam and "thin" content. The portrait thing is neat and all, but there are other good reasons to sign up. Higher click-through rate on "authored" links. Many SEO analysts and bloggers have noticed an increased click-through rate on their links that include their authorship markup (detailed examples here and here). Access to Authorship data. When you create an author profile, your Author stats will appear in your Google Webmaster Tools account (right now it's in the "Labs" section). The stats show you how many times your content has been shown to people using Google search, how many clicks those links have received, each link's click-through percentage, and each link's average position in Google search results. Authorship is portable. Once you've set up an author profile, you can use authorship markup to link posts from all over the web to your account. This is very useful if you start a new blog or do frequent guest posts — your content will stay connected to you wherever you go! (More details on portability at the end of this post). Upload a headshot profile photo: Your photo should be a real photo of your real face. For Blogger: If you're on Blogger, you can switch your Blogger profile over to a Google+ profile through the Google+ link in the Blogger dashboard. Detailed instructions are in the Blogger documentation. Once you've switched over to a Google+ profile, make sure you have the "Posted By" author link turned on for your posts by going to Layout > Blog Posts and checking the "Posted By" option (screenshot here). For other blogging platforms: If you use another blogging platform and you have a custom domain for your blog, you can link your blog to your Google+ profile via email. Instructions for the email method are on the Google Authorship page. Everyone else: If you're not on Blogger and you don't have a custom domain, you can still connect your blog to Google+ by placing a link to your Google+ profile on your blog, then linking back to your blog from your Google+ profile's "Contributor To" section. Complete instructions for this method are under "Option 2" on this page in Google's support documentation. Once you've connected your blog to your Google+ profile, Google will look for your name on your posts, so make sure you've got a "byline" on each post with your name as it appears in your Google+ profile. Usually that's a "posted by" or "written by" link in your post's header or footer area. Exactly how long it will take for your portrait to show up in search results will vary, and Google doesn't give an estimate of how long it will take. If you're getting anxious, check one of your posts with Google's Rich Snippet testing tool to make sure you have all the right markup. If everything's in place, then it's only a matter of time before you see your smiling face in search results! 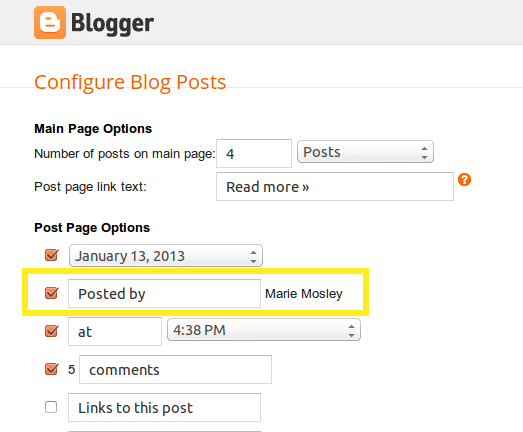 Earlier I mentioned that you could add Authorship markup to guest posts. Here's how to do it. When the post goes live, add the blog to your "Contributor To" profile on Google+, and Google will grab your authorship markup from the post and associate it with your author profile. You can use this same process to associate your contributions to any website with your profile. How to Prepare for AuthorRank and Get the Jump on Google from SEOMoz. Somewhat theoretical but interesting read about the possible impact of Authorship on search results. Google Authorship: Are You Taking Full Advantage of It? from Search Engine Journal. Deeper detail on why you should set up an author profile. 7 Ways to Make Your Google Authorship Picture Unique from Evolve Creative Group. A bit of helpful fun if you can't decide on a profile picture.